Rocky Mountain Holidays posted Rocky Mountaineer’s anticipated rail schedule and rates for 2015 today. We have highlighted the main changes below. 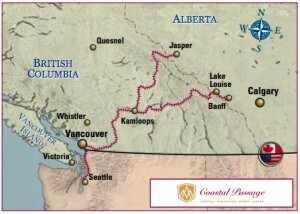 After Rocky Mountaineer’s launch of their successful Coastal Passage Route in 2013, which connects Seattle to Vancouver and the Canadian Rockies, they have introduced a planned 18 northbound and southbound departures, up from 12 departures this year (2014). The Coastal Passage Route can still only be booked in conjunction with 2-day rail, it cannot be booked as a standalone product. 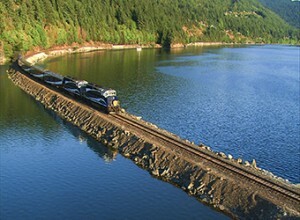 The Rocky Mountaineer 2-day rail departures for 2015 remain the same, however, there will be no break in 2015 during the first week of August as per previous years. This break was due to annual maintenance of the trains but they have now changed this schedule to ensure a continuous service. 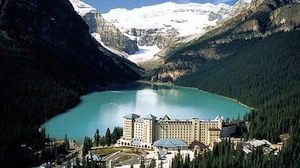 Rates have increased significantly for 2-day rail over their 2014 rates and at time of press, Rocky Mountain Holidays were still offering 2014 Rocky Mountaineer vacation package pricing for 2015. Why such dramatic rate increases in 2015? Our assumption is that rising operating costs, updates to their GoldLeaf dome coaches, along with expansion into the United States are all reasons for increased rates. 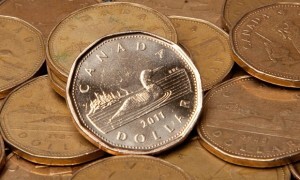 The weakening of the Canadian dollar against the U.S. dollar has also contributed to potential increased costs in 2015. The upgrade margins between RedLeaf, SilverLeaf and GoldLeaf service have been narrowed to entice guests to indulge in the ultimate luxury of GoldLeaf service onboard. From November 1st, 2013, Rocky Mountaineer imposed rail fuel surcharges on all of their routes in 2014 due to rising oil prices, so taking that into consideration, the actual percentage rate increases from 2014 are less (as long as more fuel surcharges aren’t imposed for 2015). Rocky Mountain Holidays are still currently offering “rail and cruise fuel surcharge protection” on all of their Rocky Mountaineer bookings, so they will pay any fuel surcharges imposed on your behalf when you book through them. The Canadian dollar has weakened significantly over the past year, most dramatically over the past few months. How do these rate increases affect you? The good news for most international guests is that the Canadian dollar has weakened significantly over the past year, most dramatically over the past few months. Unfortunately, Australians have seen a 5% decline in the Australian dollar against the Canadian dollar over the past year and most guests who live in Canada will not see any benefit in a weakened Canadian dollar. That being said, the early-bird booking deals set to be offered for 2015 will be very attractive to encourage guests to book far in advance. What do you think about these changes? Feel free to comment below.